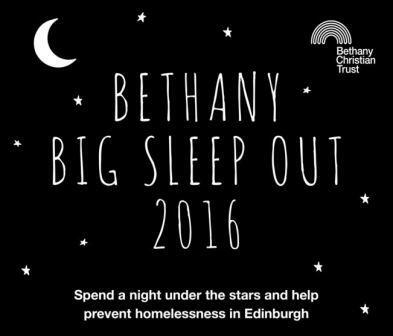 The board members of Capital Document Solutions have recently signed up for the Big Sleep out to support the Bethany Christian Trust. Bethany Christian Trust has held this annual event now for 15 years where they have raised over £300,000 for those people who are most in need throughout Scotland. The monies raised helped to provide bed spaces in their emergency winter care shelter over the years. They are currently seeing an average of 50 people using their shelter every night in Edinburgh and they need our help to continue this valuable service. The Big Sleep Out is also being held throughout Scotland including Dunfermline, Glasgow, St Andrews and Stirling. Bethany Christian Trust focuses on relieving the immediate suffering and meeting the long term needs of the homeless and vulnerable people in Scotland. If you would like to support this endeavour please share this news or make a donation by visiting the team’s giving page http://bit.ly/1HoUadL,with all proceeds going to charity.